Home » Music Reviews » Brainstorm – Smile a while! Add a little Jazz fusion to your day. 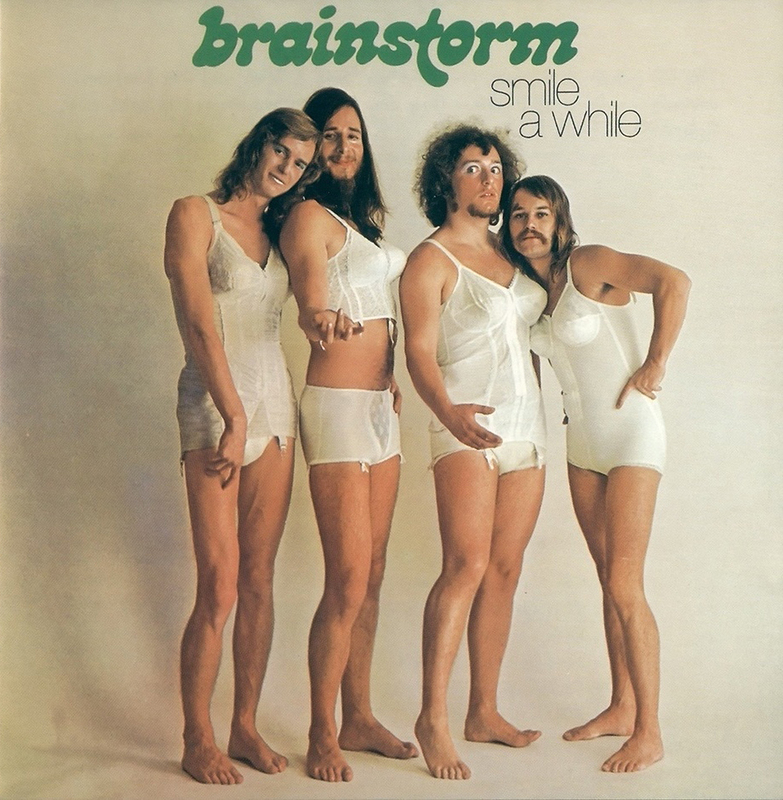 Brainstorm – Smile a while! Add a little Jazz fusion to your day. So, this is a nice and snazzy little number to start your weekend with. Sure, its Jazz fusion, but it adds some Prog with a dash of Zappa for spice. We start this album with the gettin-ready-to-hit-the-town fun of Das Schwein Trugt (above), and then track two Zwick Zwick eases us into the rest of the album. Though the album is mostly instrumental, a couple tracks offer quirky song structures, the very short “Watch Time Flow By” and a couple short sections in the long title track, while “Snakeskin Tango” has someone moaning in anguish and the middle section of “Bosco Biati Weiss Alles” contains strange wordless vocal drones. The musicianship is fantastic on this album, which helps them with their rock dissin’, loose fluid jazz, and intensely humorous high levels of energy. I wouldn’t call it experimental – its more what I said above: getting reading to hit the town music. That is if you’re into the funky 70′;s groove.